As gas prices climb, thousands of San Diegans are drastically cutting costs by taking part in SANDAG'S Vanpool program. 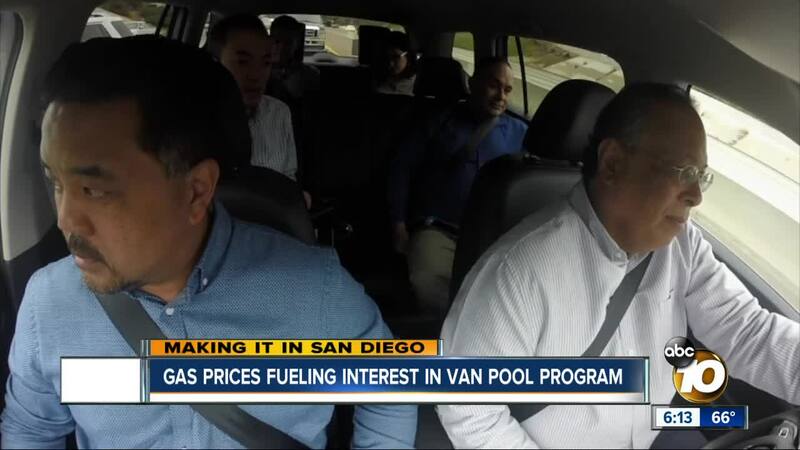 CHULA VISTA, Calif. (KGTV) - As gas prices climb, thousands of San Diegans are drastically cutting costs by taking part in SANDAG'S Vanpool program. On a recent morning, Sonny Bautista's time behind the wheel for his commute from Chula Vista to La Jolla lasted mere minutes. At this designated place in a Chula Vista neighborhood, Bautista hopped into a van leased by him and a group of co-workers at Illumina. "Nice and relaxed not having to drive," said Bautista. SANDAG's iCommute program pays for $400 per month of their required lease, with Illumina pitching in an extra $130 per month for each employee. The vanpool riders split the gas costs and driving duties. "We save a lot on gas and maintenance of our cars," said Bautista. Bautista now spends about $50 dollars per month for his commute, a big drop. "Probably saving easily $150 to $200 a month," said Bautista. The sky high gas prices are expected to fuel more interest in the program. SANDAG currently has 716 vanpools up and running. The program helps match up the riders and offers a range of discounts, including up to $260 per month for members of the military . "The average person spends less than $100 a month, but about 26 percent of our vanpoolers spend nothing at all on their commute," said Antoinette Meier, Transportation Demand Management Manager at SANDAG. Besides the cost savings, Bautista's group is able to use the carpool lane, and save about 15 to 20 minutes in the morning commute. 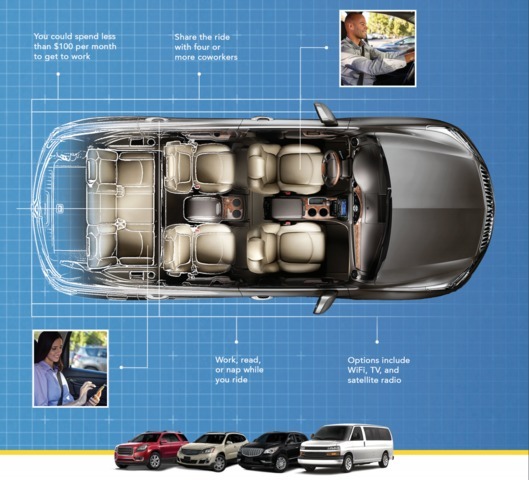 Riders can also choose the type of vanpool vehicle they'd like to share. If an emergency arises, vanpoolers are offered three free rides a year from Uber, Yellow Cab or Enterprise under SANDAG's Guaranteed Ride Home option. Want to join or learn more? Click HERE .